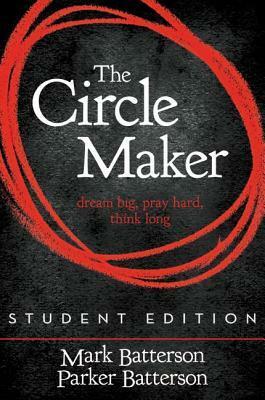 The legend of the circle maker points to first century BC and a man named Honi. Honi dared to pray in a land where noone heard from God. Honi like the famous prophet Elijah, was famous for his ability to pray for rain. he drew a circle in the dirt, stood in the middle of it and boldly asked for God's mercy and for rain. Honi determined that he would not leave the circle until it rained. Circling things in a prayer walk brings change and this was modeled in the Bible with the Israelites circling Jericho. What is your personal definition of success. You need to look at the goals, dreams, and promises God is calling you to. Praying for, versus Praying through is an issue discussed in the book. Praying through is different as it is about consistency and intensity, the type of prayer we should have. As a pastor at National Community Church in DC, Mark has seen the power of God grows the church as the members walk and pray over areas of their town. I haven't read the original Circle Maker. Though this is a 'student edition' and I do see it mention career planning, the concepts of prayer were still relevant to me.